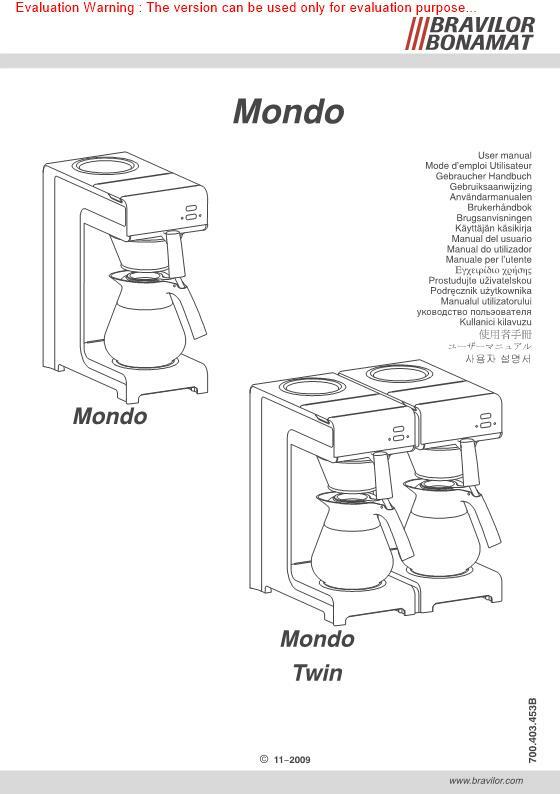 Used worldwide, the Bravilor Mondo Filter Coffee Machine is ideal for sites without access to a mains water connection thanks to the convenient manual fill functionality. Perfect for mobile or event catering, the Bravilor Mondo uses rapid filter technology to dispense filter coffee quickly and is able to produce a full 1.7 litre jug within 5 minutes, whilst the intelligent dual hotplates ensure coffee is kept at the perfect serving temperature. With efficient LED lighting and coffee ready/descale notifications, the Mondo filter coffee machine is designed to produce consistently high quality coffee, time and time again. Supplied with 2 premium quality Bravilor coffee jugs and 50 filter papers as standard.This Bravilor machine is designed for commercial use. As such, delivery is only to commercial addresses and warranty covers commercial use only.